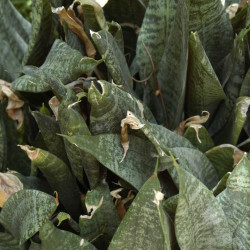 This species is traded as Bowstring Hemp, Mother-in-Law's Tongue or Snake Plant. 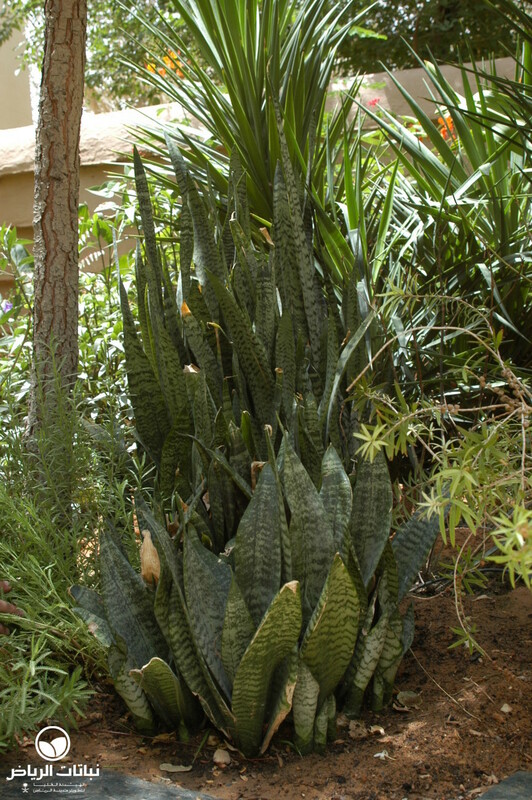 It originates from Nigerian woodlands and has since long been cultivated as a long-living indoor plant and as reliable outdoor perennial resisting harsh conditions. 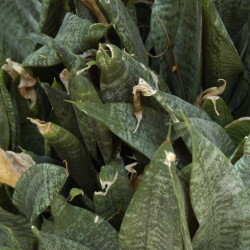 Dagger-shaped, evergreen leaves form dense clumps emerging from fleshy roots and rhizomes that spread the plant slowly. Their dark-green is mottled with very light-green horizontal lines. 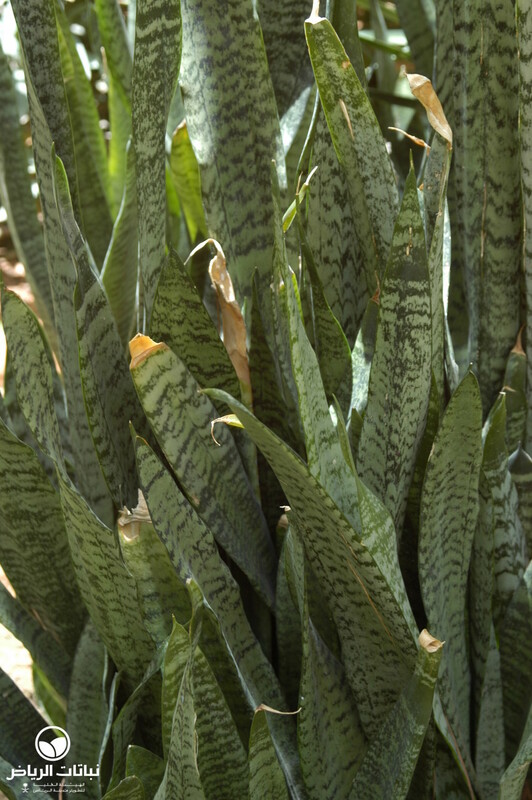 They may be propagated by leaf cuttings while cultivars need to be multiplied by dividing clumps. Very common is ‘Laurentii’ with yellow lines along the margin. It should not be exposed to full sunlight where the edges easily get burned. 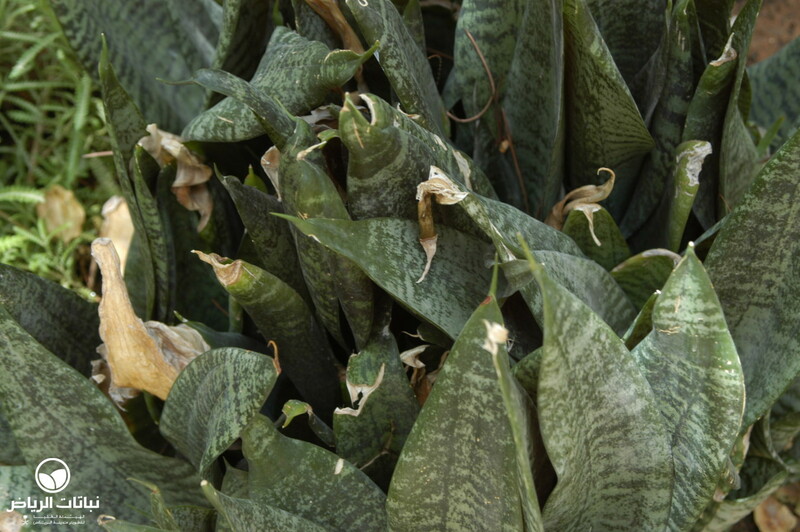 Leaf cuttings from this cultivar degenerate to offsprings with green leaves without variegation. Another popular variety is ‘Hahnii’ growing compact to about 30 cm height. The species and ‘Laurentii’ both grow to about 1.5 metre high. Plenty of light is required to induce the development of flowering stalks. They bear greenish inflorescences that release pleasant scent. 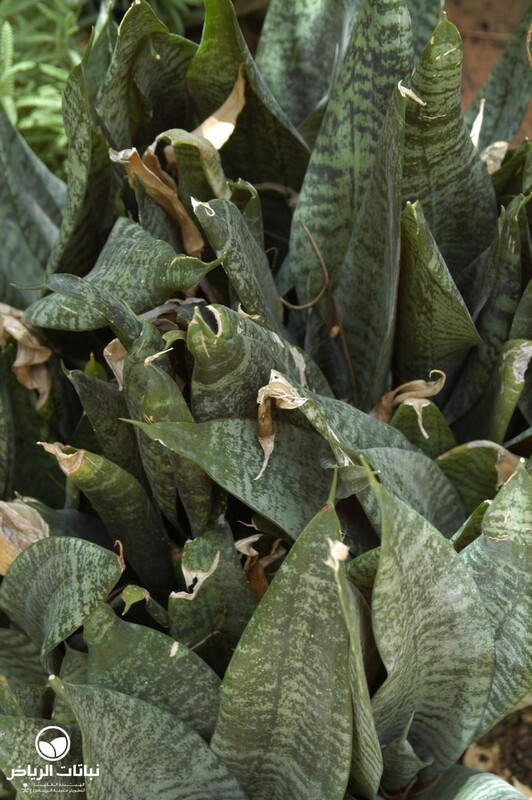 Established plants take drought for weeks, but turn pale if totally neglected. The soil should be moderately fertile and drain well since over watering kills the plants quickly. 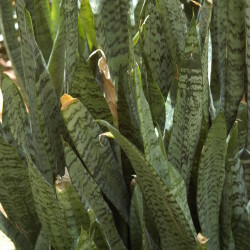 Snake Plants can be used outside as accent plants in rock gardens. 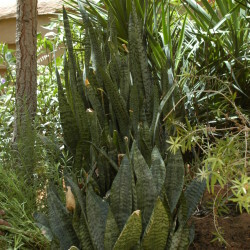 Being free of pests and diseases and demanding no maintenance this species and its cultivars should be used more often in Riyadh’s public and private gardens, where the will need some shelter. They earn the vernacular name Bowstring Hemp for their strong leaf fibres.